The famous New York Yankee baseball great Yogi Berra once noted: "In theory, there is no difference between theory and practice. In practice, there is." 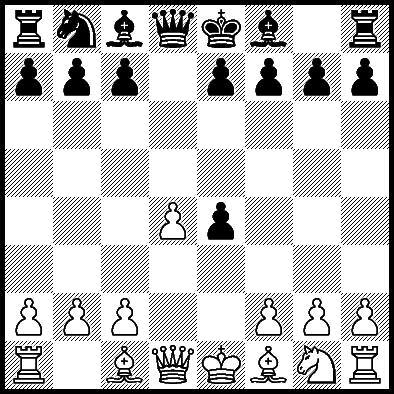 This is illustrated by the Blackmar-Diemer Gambit and its cousin the Huebsch Gambit (1.d4 Nf6 2.Nc3 d5 3.e4 Nxe4). In my database of over 2000 games with the Huebsch Gambit, White has a plus performance rating of +11 points above actual rating (2218 vs 2207). Our BDG friend Eric Jego has given us Gambit Hΰbsch Antidote or Leurre? This book focuses on the practice of playing aggressive chess using his 14 elementary principles. Jego's books shows how many people have been successful with this opening variation. Eric Jego's book on the Huebsch Gambit has 124 pages with 122 verbally annotated games (in French). Over 40 of the games were played since 2000, often by titled players or correspondence players who had time to analyze deeply. Games are arranged by variation making it easy to find analysis on any particular line. I recommend this book to anyone who expects to reach the Huebsch Gambit position from either side. Theory found in books on my desk by Yelena Dembo (2008), Roman Dzindzichashvili (2009), and Larry Kaufman (2012) says Black is better. In practice, White scores well. Computers evaluate Black as better, but real humans make mistakes under pressure. Jego includes the game where NM Diebert used the Huebsch to beat GM Joel Benjamin. Not only do Black players fail to play perfectly. 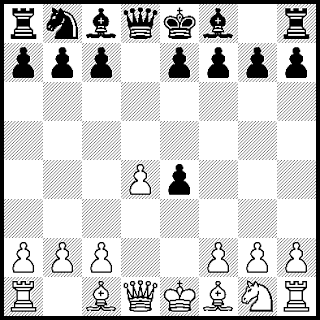 Based on about 10,000 games, 7 of 10 players will capture on e4 with the pawn (3...dxe4) leading directly to a Blackmar-Diemer Gambit, 2 of 10 will play 3...Nxe4 (Huebsch) and the other one will play something else, most often 3...e6 (French Defence). Finally, if you play the BDG and are deathly afraid of the Huebsch, you can head for a BDG via 1.d4 Nf6 2.f3 d5 3.e4 dxe4 4.Nc3. I play both. The first Huebsch Gambit is in Jego's book. White was E. Huebsch and Black was GM Dr. S. Tartakower. Four years later Tartakower reached the same position vs Kostich and played 3...dxe4 (ended in a draw). Late in life, Dr. Tartakower played the BDG as White at least five times. Notes below are from my BDG Keybook I (revised edition) Game 128.